Compare: Don't Do Dare to. Every Divorce is different. Home » Compare: Don’t Do It! Don’t dare to compare! When going through a divorce the urge to compare may arise. At this time many are feeling low and insecure because life as they know it has changed completely. They may be worried how they appear to the outside world and what is said about them. Life is in flux and one’s new life is not yet settled. It’s easy to be susceptible to feelings of shame and making oneself open to negative people and advice. Divorce is not fun! I tell my clients it’s so important to keep your eyes on the prize and not look at other’s situations and compare divorces. The focus should be on your own divorce and set of circumstances. This is your very own unique experience and new life that will begin. Same things with all of the books, studies, and polls that show what you will go through in divorce. Divorce is what you make of it. You don’t have to be a statistic. To compare divorce is set yourself up for failure. The good news is that most people do just fine in divorce. Their lives resume and usually for the better! It’s the minority with awful experiences that bring down the average and make us fear that it can only be a catastrophic experience. Additionally, it’s harmful to compare yourself to your former spouse and how you measure up post divorce. We all move towards recuperation at our own pace. An important tool in getting to this place is empathy. Having empathy for your ex can help move the process along and help you to not compare and contrast your post marital life. Additionally, you may gain the clarity needed to live your fullest life from this moment on. 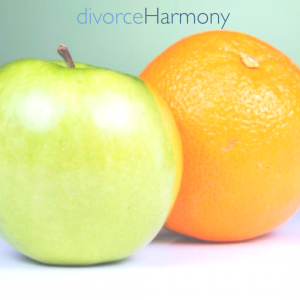 If you are considering divorce, please contact me @divorceharmony.com . If you want low cost, low stress, high quality, don’t want to miss work, no retainers, and all papers filed online for the ultimate convenience I’d love to hear from you! How Do You Know You Really Want To Get Divorced? Why Is Getting Divorced So Expensive?? Are We Overusing The Term Narcissist?